The Blues & R&B photographer Hans Ekestang receives honorable international recognition! The Blues Foundation in Memphis, has decided to award the 2019 "Keeping The Blues Alive" award to the Swedish artist photographer. Our luxury work The Philly Sound by Dave Moore and Jason Thornton, is now acting main inspiration for an upcoming ambitious TV documentary in 12 chapters called ”Wake Up Everybody”. American top producers and renowned directors as well as main artists like John Legend are behind it, and hopefully this imperial project can see the light of the day in 2020. TSOP JOHN LEGEND SIZZLE 06.20.18 from Visual Innovations, Inc. on Vimeo. The author of "THE BEATLES - FROM CAVERN TO STAR-CLUB", Hans Olof Gottfridsson, has been interviewed in Australian radio (pod). Click the link below to listen when they discuss the above book. On June 19th you will find us at Parmmätargatan 11, located at Kungsholmen in Stockholm city. The closest subway is Rådhuset. Please note that our mailing address (incl. PO-box 301 84) is unchanged! Only the visitor's address is new. We are leaving Warfvinge's väg after 13 years. The house is to be demolished to accommodate a scraper of 70 condominiums. We sincerely welcome all customers to come by and say hi. And why not complete your Premium Collection at the same time? HEDENGRENS BOOKSTORE FIRST WITH THE PHILLY SOUND BOOK? 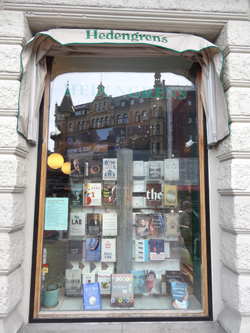 Hedengrens Bookstore in Stockholm city got the other day their highly anticipated pre-order delivered. 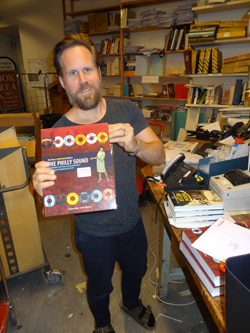 Hedengrens purchaser Richard Sköld looks pleased when he for the first time holding up the Philly Sound-book in his hand. This despite its weight - more than three kilograms ... One copy was placed in the window right away facing straight towards Stureplan! Saturday, September 24, we at Premium Publishing are exhibiting at Solnahallen with our books. Hope to see you there! 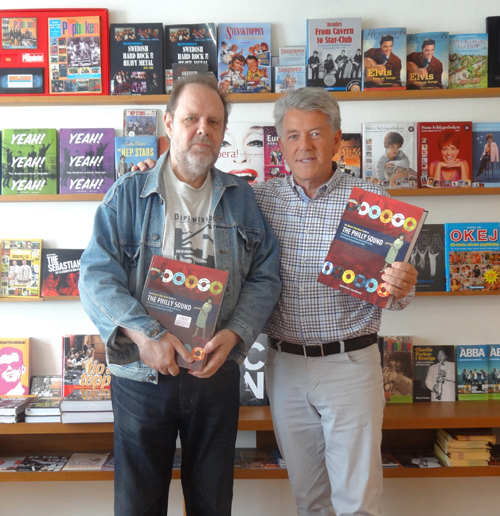 First up to our office to view the brand new Philly Sound book was the music industry veteran Thomas Witt: legendary Swedish label manager / product manager at CBS Records in the 70s - not only for American Columbia and Epic, but also for Kenny Gamble & Leon Huff's now legendary Philadelphia International. It was Thomas who saw to it that Three Degrees, O'Jays, Billy Paul, People's Choice, Harold Melvin & The Blue Notes etc. were also launched in Sweden. Pictured here is Thomas (left) congratulated by Premium Publishing's Wille Wendt, who in 1980 took over the job after Thomas and later also became a European product manager of the record label Philadelphia International. The gentlemen had of course unusually much to chat about when they met and together they inspected the new voluminous mammoth work of Philadelphia's soul music. "Resan mot rockens rötter" on Youtube! Check out the video and listen to Ronny Elliot's version of how it all began. Journalist Jan Kotschack (writer of the Radio Nord-book) comes with a new book in August; "Resan mot rockens rötter"! The book is 400 pages. Have a release August 30. A big thank you for the past year. We now look forward to 2016 when we will introduce many new cool books! There will be about music, of course - Philly Soul, British Beat, Punk and movie stars. And in between a few surprises! The friends at Premium Publishing. Premium at the Göteborg Book Fair! Meets us at Göteborg Book Fair during September 24-27, 2015. 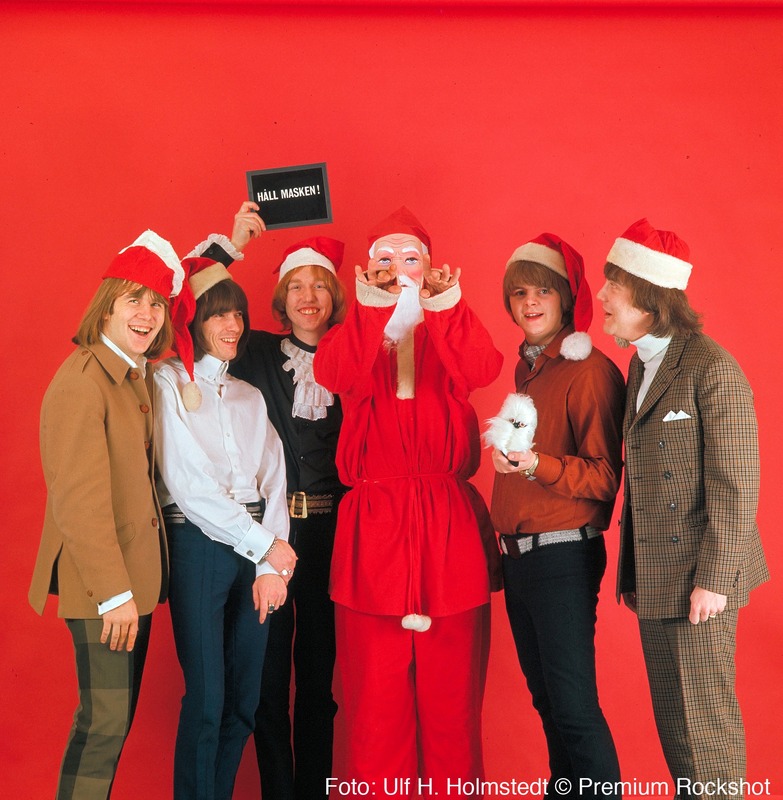 Legendary magazine entrepreneur and rock photographer Hans Hatwig will be in our stand throughout the fair to present and sign his new sensational double-memoirs, "Miljardären som visste för mycket". You can also find a selection of our others books, including the brand new English language book on AC/DC, "Love At First Feel" that is released on September 24! The book includes 12 unique deluxe photos that Hans photographed during AC/DC's very first Swedish tour back in 1976. You will find us i the B-hall in booth B03:47. Welcome by and say hello!